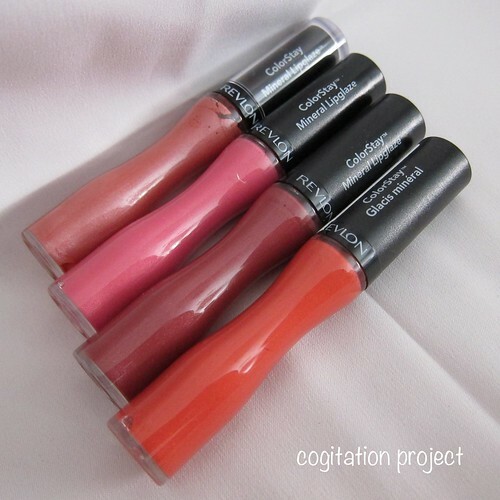 I have been happy with Revlon’s Colorburst Lip Butter and Colorburst Lip Gloss and third time’s a charm, right? Wrong. I find the formula to be sticky and not particularly moisturizing. What’s worse is the chemical smell. I’m not sensitive to good, pleasing scents but I don’t like chemical, plastic-y scents. 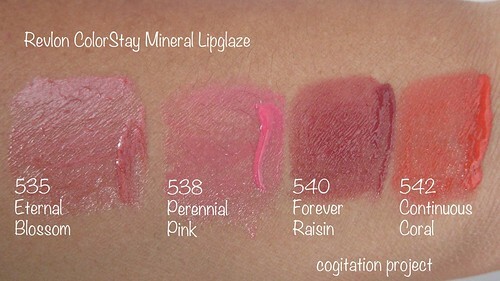 And all of the 8 glosses have that smell. So these product was a fail for me. 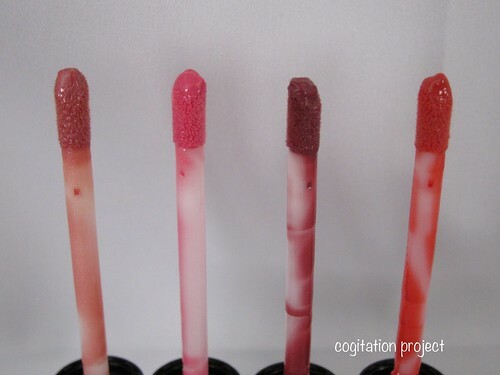 Otherwise, color payoff is as good as it gets for a gloss. Wear time is average for this formula, around 2-4 hours. 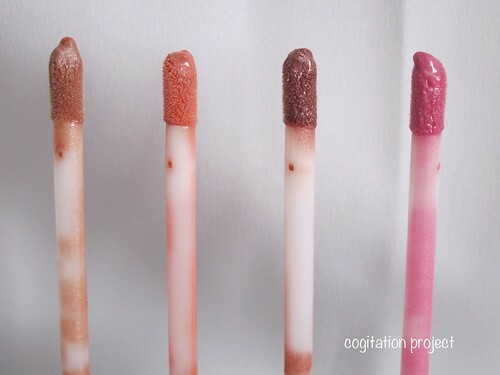 I would stick to the Colorburst Lip Gloss and Lip Butters. 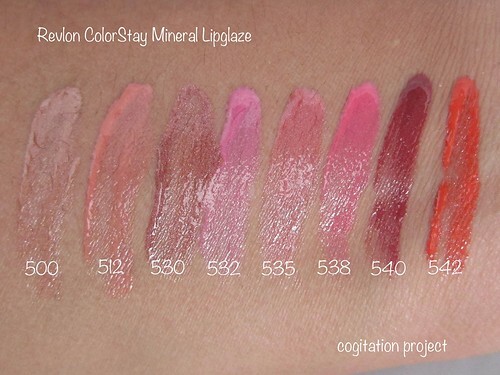 Pics below for swatches. 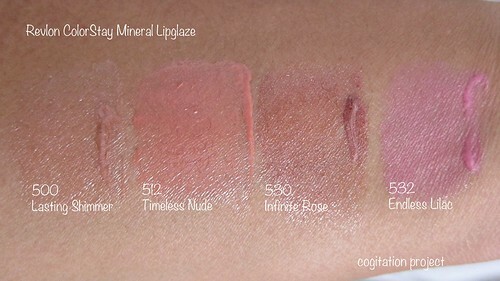 « Carried Away with Tarte | Tarte Holiday 2012 swatches and pics – pic heavy!!! Oops I’m sorry to hear these don’t work so well for you. 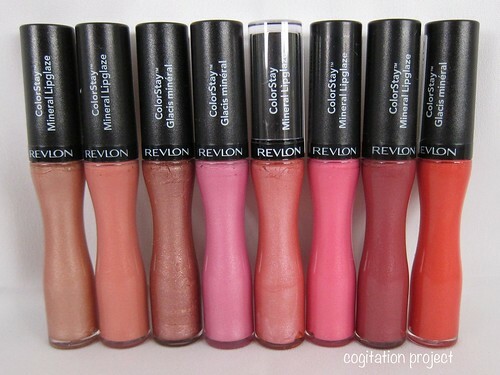 Revlon has been launching great lip products for the past year or so, but I guess there has to be a flop somewhere. 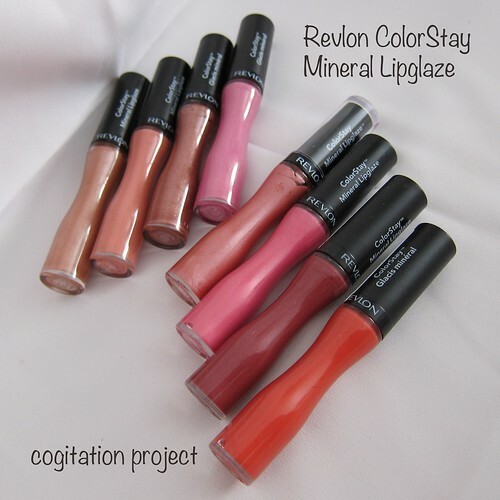 Pingback: HCM - Bán son revlon colorstay mineral lipglaze.